Lugar was an infamous RINO. Much of the Ukrainian small-arms supply was ultimately exported, not scrapped, by a Yushchenko regime that chose revenue from arms dealing over the cost of melting down metal. In 2008 the Stockholm International Peace Research Institute reported that between 2004 and 2007, the Ukrainian Export Control Service told the UN that it sent 721,777 small arms and light weapons to 27 different countries. So instead of potentially warding off a Russian invasion of the rest of the Ukraine, the weapons are now spread out all over the world — so as to keep them out of the hands of terrorists. The terrorist hotbed Libya imported over 101,000 of them. To give up all this ordnance, Ukrainians must have thought that someone would take the Budapest Memorandum seriously. This document — signed by the USA, the UK, the Ukraine, and Russia — guarantees the Ukraine’s territorial integrity in return for renouncing nuclear weapons. Elsewhere in the former Soviet bloc, the missile shield Bush had promised Poland and the Czech Republic to defend them from Russia was nixed by Obama — evidently to curry favor with Russia. Obama isn’t actually on Putin’s side. But his dopey liberal ideology makes him behave no differently than if he were. The Left is wrong about everything and because their judgement dwells on a world that ought to be they will not accept the world as it is. Obama goes abroad and apologizes for America. Obama treats Israel like they were pre-civil rights blacks trying to eat at a ‘whites only’ lunch counter. Obama cancels the missile defense shield for eastern Europe. Obama cheers on the overthrow of Mubarek in Egypt. Obama supports the Libyan uprising. Obama allows our Ambassador and other Americans to be killed, does nothing except lie about it. Obama stands by, while Putin (knowing there will be zero push-back) seizes Crimea and gets ready to annex Ukraine. I’m not sure who’s “side” Obama is on, but it sure as hell isn’t OURS. Those with no sense or capability for self-defense will not stay a country. Just ask Tibet. Disarming is an invitation for occupation. After the Mexicans working class forced their government to recognize their rights early in the 20th century, a government official came to tell them that they must give up their guns. He was met by the hero, Emilio Zapata. Zapata pointed to the official’s gold watch and said that he (Zapata) could take it because he had a gun. But, he added, if he were to give up that gun, the official could come back with solders to take back the watch. Therefore, the “peons” would NOT disarm. Just another reason why leftists try to change history. The lesson that Dear Leader has taught the rest of the world is never give up your nukes, and if you don’t have them, then get some. Now to disarm those pesky American conservatives and turn America into a Communist paradise. I’m anticipating a problem with this plan. We are all Ukrainians now. I hate to be a nit-picker…oh hell, no I don’t. I live for this stuff. It should always be referred to as Ukraine, not “the Ukraine”. That would be like saying “the America”. Nope it’s just America. Just like it’s just Ukraine. I have studied prophecy for over 30 years and I was always taught that it was going to be Russia, China, Iran, and some other middle eastern countries going against Israel in the latter days. In other words, the prophecy teachers have always known what was going to be happening right now and it is all headed just where they said it would be and in the way they said. It is all in God’s word – the Bible. We are all extremely blessed to be able to see these things. 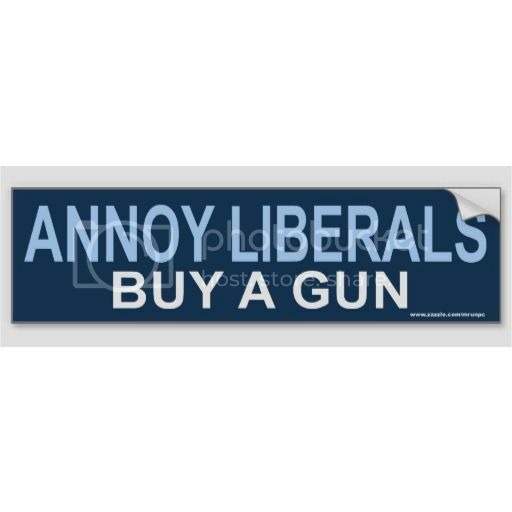 The problem is that those idiots in Ukraine didn’t realize that when you give up the guns you had for self defense, you have to replace it with a “No guns allowed” sign to prevent someone else from using a gun against use. If Ukraine had just put up a “No invading armies allowed” sign on the border, then of course the Russians would have had to turn around and go home. Hey, anyone know who was President and Commander in Chief of the USA while Senator Obama was disarming the Ukraine? Just wondering.